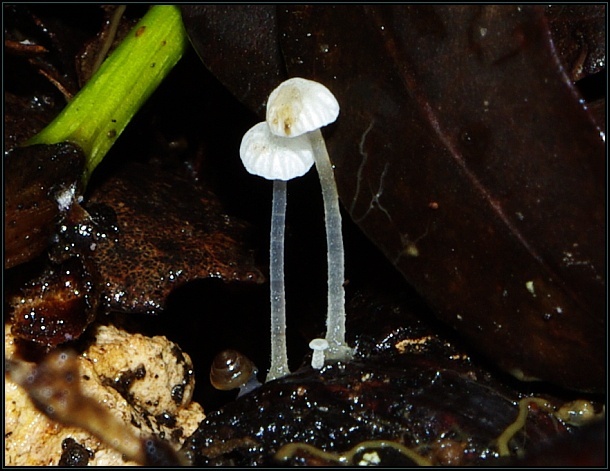 Mycena polyadelpha is a minute white species of Mycena which is found on dead Quercus ilex leaves and seed capsules. 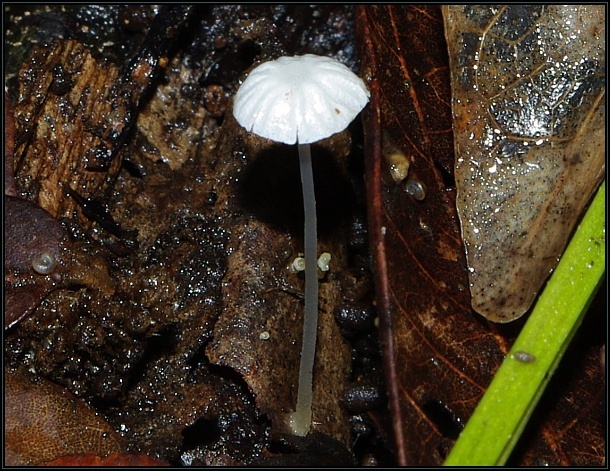 It is very common in localised areas but is probably overlooked because of its very small size. 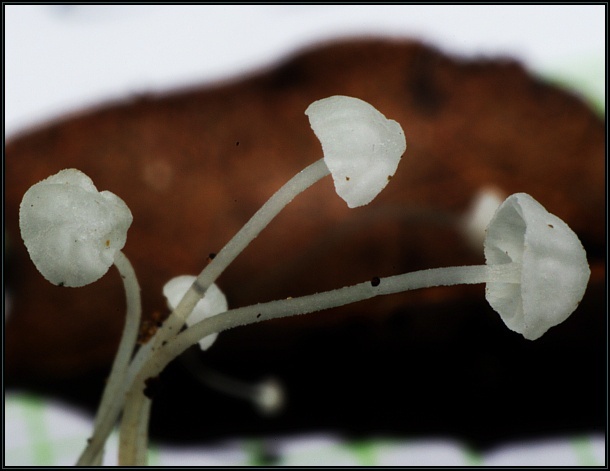 There are many similar species growing on Quercus leaf matter. The pileus is convex, translucent white, thin and smooth. 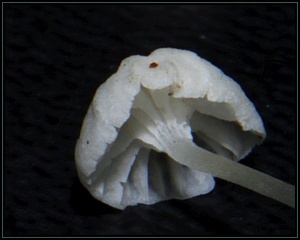 Gills are white, distant, few in number and decurrent (arcuate). 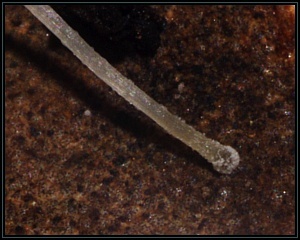 Stipe is thin, transparent relatively long, without a basal disc and slightly hairy around the basal area.